Nigerians pushing towards war unknowingly, says Aregbesola – Royal Times of Nigeria. 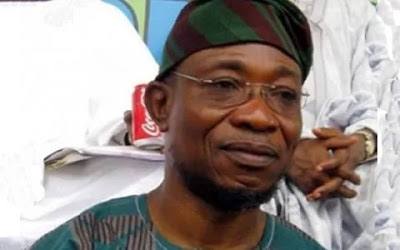 The Osun State Governor, Mr. Rauf Aregbesola, has said that Nigerians are inadvertently pushing the nation towards another civil war through hate speeches, wickedness and massive killings going on in the country. According to a statement in Osogbo by the governor’s media aide, Mr. Sola Fasure, Aregbesola said the nation was lucky to come out of the first civil war but stressed that Nigeria might not be lucky if it was plunged into another round of civil war now. Making an allusion to the widespread killings by the Fulani herdsmen, the governor sued for caution, saying it had become imperative for every Nigerian to work assiduously for the peace of the nation by avoiding anything that could lead to war.